The Lutheran Church of Colombia (IELCO) is divided into four regions (Centro, Llanos, Boyaca, Oriente). This year the human rights program is doing four workshops (one per region), in two different themes, for a total of 8 workshops. The first workshop is 'Economic Justice and Peace' (the second is in the theme of reconciliation, which I will write about soon). 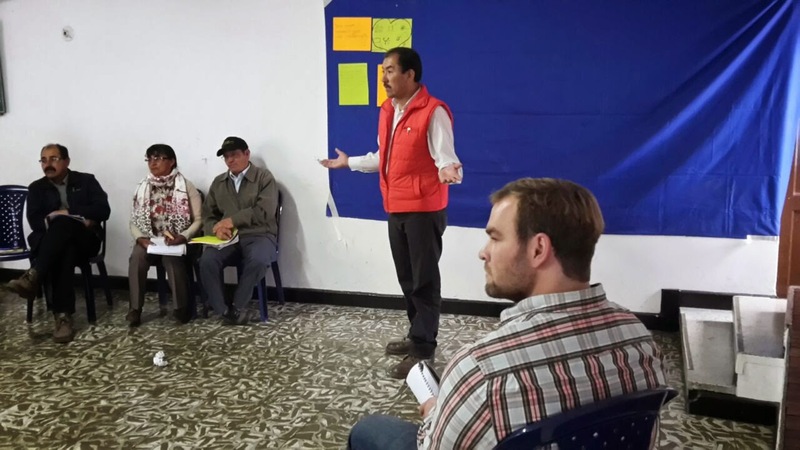 We have finished the first two workshops of the Economic Justice theme, one in the city of Paz de Ariporo (Llanos Region) and another in the city of Sogamoso (Boyaca Region). The opportunity to see more of Colombia and to meet people from various walks of life has been the best part of these workshops. The goal of the workshop is to sensitize and train leaders of the various congregations of the IELCO in the theme of economic justice and peace and to strengthen their capacities to protect and promote economic, social, and cultural rights at the local level. During these workshops, economic justice is understood as the utilization of the means of livelihood available to meet the basic needs of all in a distributive and equitable manner. From the human rights perspective, economic justice is understood as the full enjoyment of all economic, social and cultural rights for all. The challenges faced concerning unemployment, lack of access to adequate healthcare, progressive indebtedness of members and congregations, all affect the life of the community, and all are part of the justice or injustice as part of economic life. The first workshop in Paz de Ariporo was attended by the four congregations that the IELCO has in the region, as well as members from the local association of pastors and representatives from the local association of Afro-Colombians. 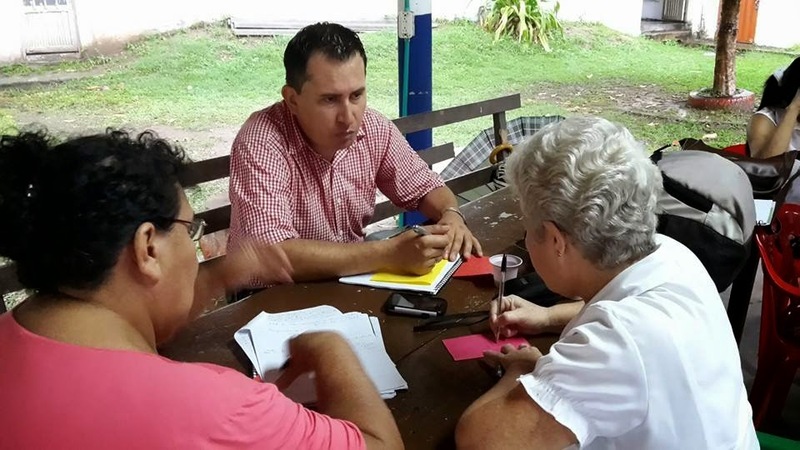 The local association of pastors is in a certification process with the local government and their attendance in the workshop was able to help them move along in their process. 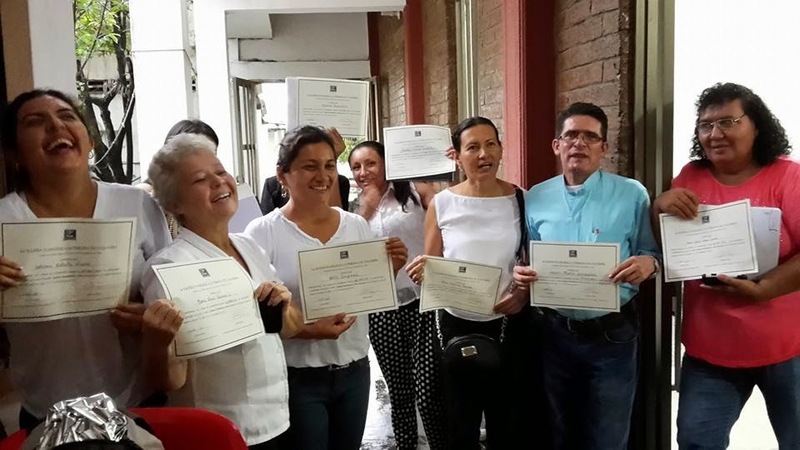 They were excited to learn that they would receive a certificate to present to the local government in order to gain the credit from participating in the workshop from the Lutheran Church. The conversations were rich as we discussed the theological foundation for concern in this area of justice. As we moved into the more practical discussions regarding the churches capacity to address issues of economic injustice at the local level, the group grew even more energized. Ideas to confront issues of the lack of healthcare, of polluted water, of deforestation, were all exciting to hear as the connections were being made between these issues and the economic life of the community. During the second workshop, held in the city of Sogamoso, the congregations from the region participated as well as pastors from other local churches. The conversations here were also very rich, from a different context, different geography, and different issues being faced. With the discussions of how the community can tend to its people and work towards protecting and promoting its economic life comes a stirring sense of empowerment that is inspiring to witness. Participants came up to me afterwards to brainstorm ideas of implementing educational curriculum on this topic in all of the schools in their city, ideas for reforestation projects to keep air clean and therefore to keep people healthier, ideas for the creation of a human rights educational center in their city, and many more. While it is likely that not all of these projects will come to fruition, I feel very honored and excited to help these communities work through some of their issues and creatively address them.